It’s been many years since I’ve overindulged the heavy way during the holidays because I eat healthily most of the time. I’ve learned to choose the correct food combinations and balance the quantities so that I never end up overwhelmed by my food. It’s a matter of control and it comes with practice. And with time, you learn to listen to your body and mind, and not your instincts telling you that another slice of cake won’t do you any harm. 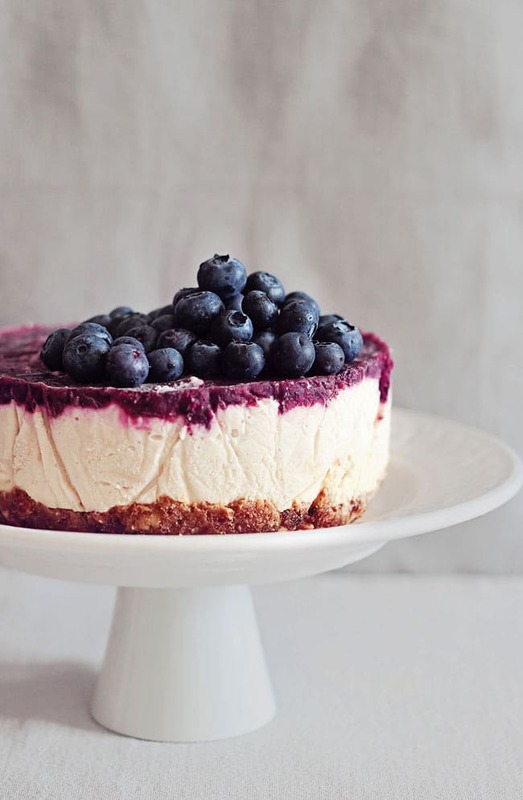 Indulging is a great thing if done in moderation, and moderation is also the reason why you need only one day of post-holiday detox to put your body back on track. If you are already interested in a healthy diet, you probably feed your body daily with fresh nutrients from salads, smoothies, and fresh juices, so your cells already had enough nutrients to withstand the holiday’s indulgences. For instance, I need this detox because I rarely eat sugar and plain flour baked goods, but this Christmas, I couldn’t resist my mother’s yeasted chocolate cake. 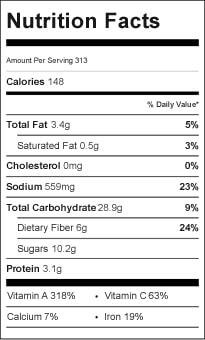 Although I eat a lot of fresh nutrients with my daily diet, my body consumed extra nutrients to metabolize the sugar and plain flour, and also to maintain a balanced pH within my digestive system. This 1-Day Detox is actually an intense infusion of fresh nutrients and powerful antioxidants to refuel your body after the extra nutrients consumption during the holidays. 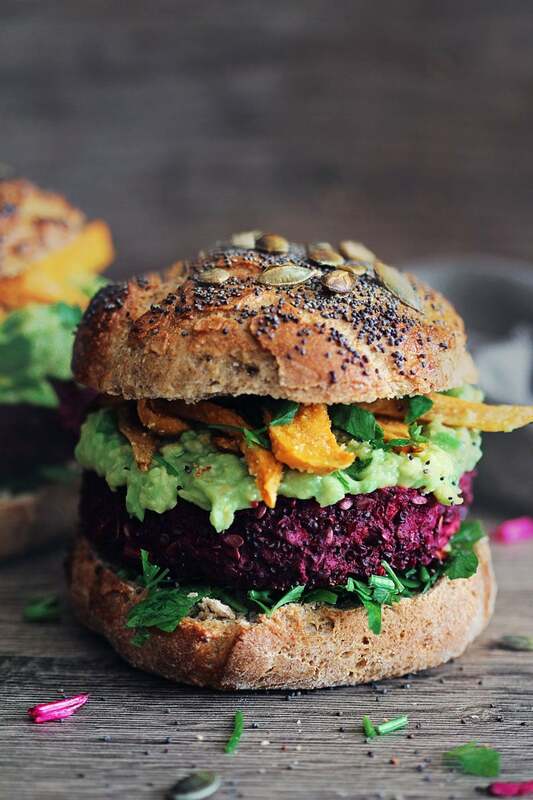 It is a very simple collection of four easy recipes made with ingredients you probably have in your pantry or fridge – beets, spinach, carrots or avocado. It isn’t an expensive, restrictive or a fancy superfood-powered detox, but an easy and gentle one, just like the approach for the new year should be. If you feel like going for a longer cleanse, try my 3-Day Detox. The key to regaining your balance after the holidays is nourishing your body with a wide array of detoxifying nutrients from fresh and colorful fruits and vegetables. It is also the best time to use the superfoods you bought, but didn’t know how to introduce into your diet. Spirulina and chlorella powders, matcha tea, bee pollen, turmeric, raw cacao powder – these are all great sources of powerful antioxidants and contain a wide array of nutrients to help your body regain its balance and stimulate its natural detox processes. 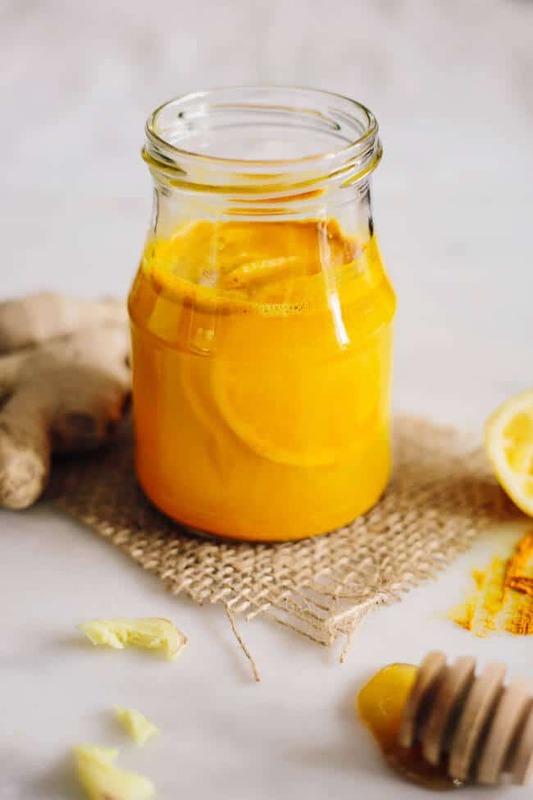 A healing Ayurvedic medicine, this turmeric drink reduces inflammation and provides antioxidant protection to your body cells, helping their natural detox function. In a mortar add turmeric, honey, minced ginger and peppercorns, and grind everything with a pestle to create a paste. Distribute evenly the paste into the serving mugs or glasses, add lemon slices, pour the water and mix to combine. 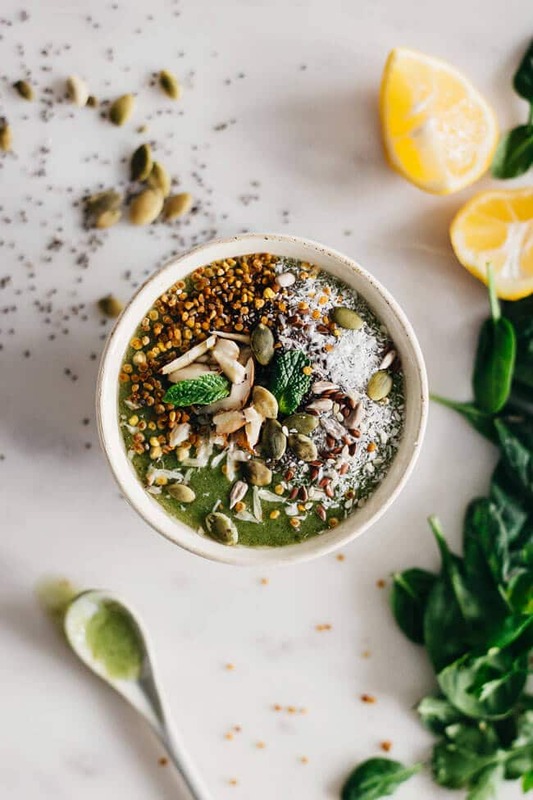 Rich and creamy, this green smoothie combines the cleansing powers of spinach, parsley and pineapple with the nourishing ones of bee pollen and nut butter. Add all the ingredients into the blender and process to obtain a creamy liquid. Distribute into serving bowls, garnish with coconut flakes, seeds and pollen and serve. 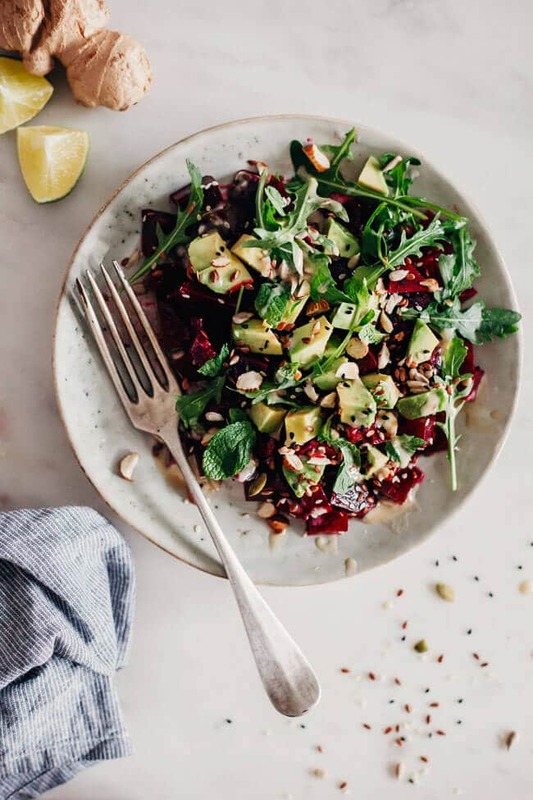 This salad contains unique detoxifying antioxidants from beets and healthy fats from avocado, protecting your liver against the damage of free radicals. Add all the ingredients except rocket and mint for the salad into a medium bowl, and mix to combine. In a blender add the dressing ingredients and process to obtain a creamy liquid. Pour the dressing over the salad and mix to combine. Add the rocket and mint, and mix carefully. 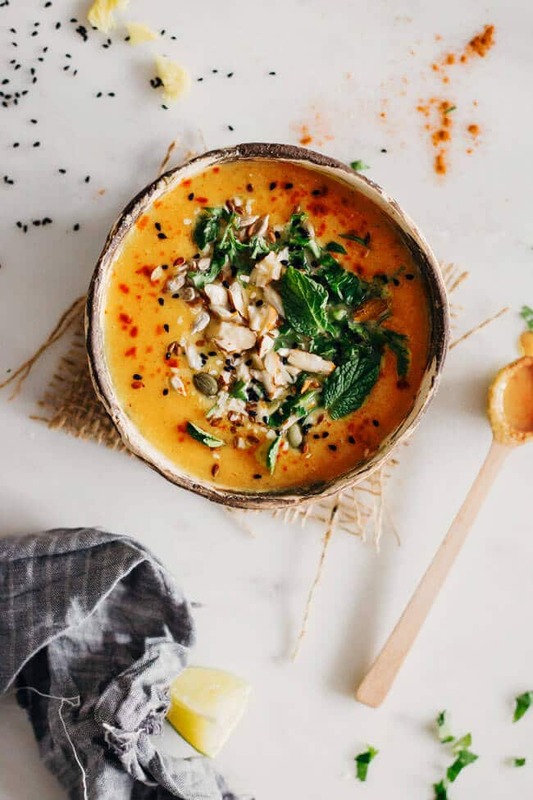 A comforting way to end your day, this soup is flavored with metabolism boosting spices and contains antioxidants to help your cells cleanse naturally. In a medium sauce pan add the carrot and sweet potato cubes, onion, garlic, ginger and a tablespoon purified water, and cook for five minutes, stirring frequently. Add the rest of the water, bring to boil, then remove from the heat and transfer into the blender. Process to obtain a creamy liquid, then add the spices, parsley, mint and olive oil, and process again to incorporate. Distribute into serving bowls, garnish with black sesame seeds and mint leaves and serve warm. Is this 1 day detox one you can do in conjunction with the 3 day detox also on your site? I love the 3 day detox and have done it a few times. 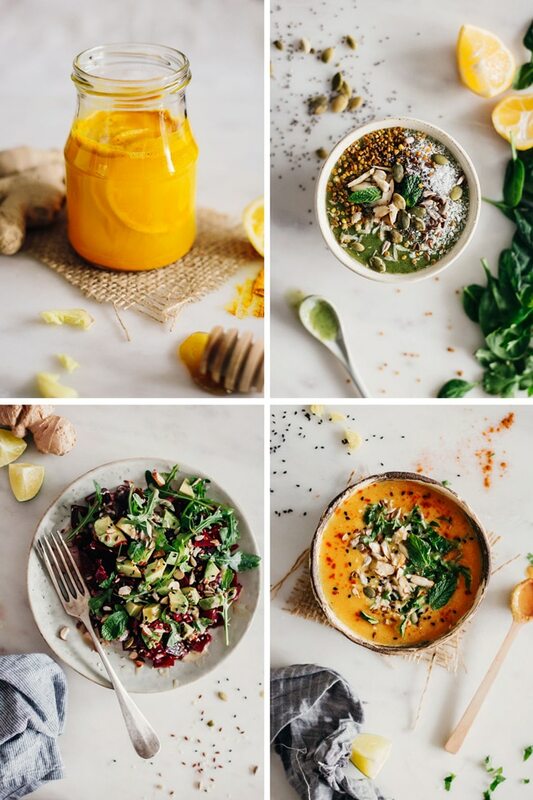 I really like the idea of the turmeric tonic and would definitely want to incorporate that into the 3 day detox. Gearing up for to start the 3 day Saturday. Sure you can combine the detox programs, they both contain nourishing recipes and loads of nutrients that you can choose from any way you like. The turmeric tonic is a real bliss for the digestive system, and you can include it without problems to the 3 Days one. I really hope these programs will make you feel great – let me know your feedback! I absolutely love your blog and always read it. I especially love your knowledge of nutrition. Do you have any recommendations for taking that step, with this elixir that you posted? Indeed, turmeric nutrients are better absorbed when consumed alongside black pepper and fat. If you check the tonic recipe I posted, I’ve included the peppercorns. If you want to also include a bit of fat, you can add 1/2 tsp coconut oil into the turmeric paste from first step of the recipe, or replace the water with one part nut milk and one part water. This will ensure a small dose of healthy monounsaturated fat to facilitate the absorption. How often do you suggest drinking the turmeric detox? Is it a daily thing? Thanks. You can have it daily or twice a day, in the morning and before going to sleep. 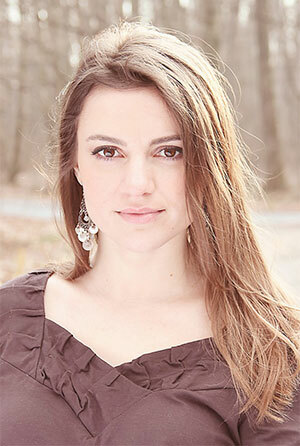 Just found your site and I am so exited about reading more. At the beginning of the year my church started the Daniel Fast and I partook in the fast….first time in a long time I actually commanded my flesh to be disciplined for 21 days…praise God! Long story short, I was praying for help because I was struggling physical and health was starting to suffer because of my overeating. I discovered during and after the fast was over, I felt better…no more feeding my body dead food. All this time God has provided me the answer….but I didn’t really want to let go of my bad habits…which were having a deadly affect on my body. I lost my way for a while…but I am very thankful that God never leaves us lost….if we choose to follow him. I have removed a lot of the old fast food from my diet and I creating new recipes to keep me healthy. I feel great and I am always looking for different ways to cook meals and add more healthy options to my menu. Thank a million! I just made the carrot soup and it is absolutely fabulous! It’s rich, creamy and hearty but also has a kick that warms you up from the inside. Thank you! I can not eat red beet is there a substitute…. Any vegetable you tolerate will work – carrots, broccoli, sweet potato, etc. 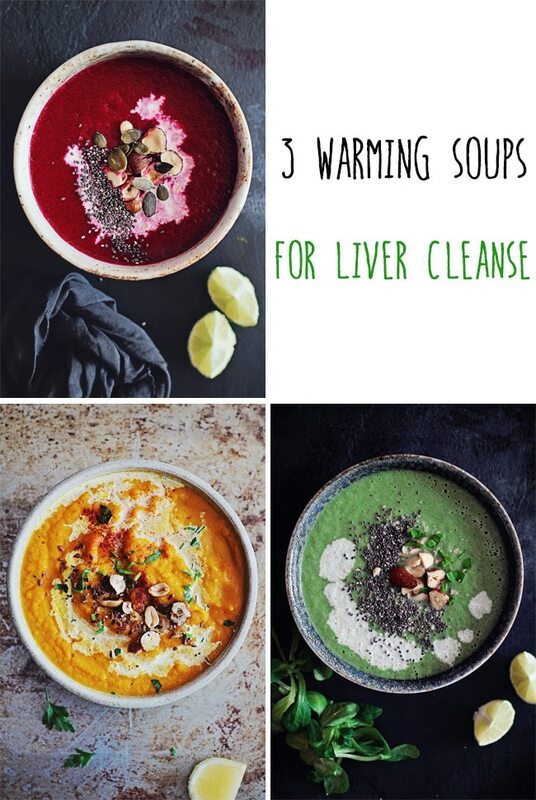 The idea of this detox is to add as many and diverse nutrients as possible! Just started the detox this morning – is the consistency of the smoothie supposed to be very thing? How did you get your toppings to stay on top or was that just for the photo’s sake? Either way it tasted good – thanks! I usually don’t bother writing on blogs. But it worths it !! I have been Trying your 1 Day detox. Or la the 1st time i make smoothie and want To rebalance my diet and To start i thaught it was a good choice to try this. I was a bit worried about eating spinach in breakfast… and surpised it is absolutly delicious !! I really liked the soup as well. I know start everyday with a smoothie. Do you think that a beet smoothie would fit as well or it must be green absolutly ? ?